It’s always a great day when we have the opportunity to post this headshot. Rommie Lewis is back! 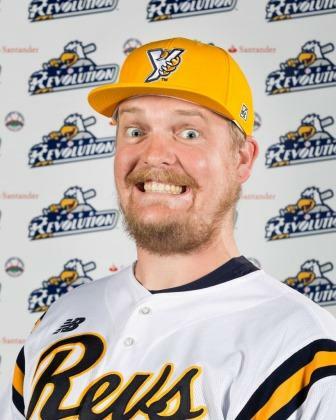 The York Revolution have announced the return of all-time franchise saves leader Rommie Lewis, as well as the addition of veteran big league outfielder Brandon Boggs as the latest two signings to the 2015 preseason roster. The transactions were first announced by Revs manager and 2014 Atlantic League Manager of the Year Mark Mason this afternoon exclusively on “Revs Hot Stove Weekly” on SportsRadio 1350 WOYK-AM. 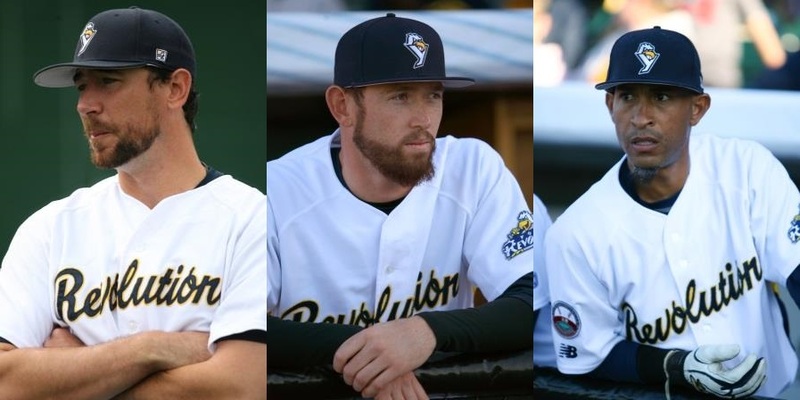 The York Revolution have announced the return of three more key members of the roster, agreeing to terms with starting pitcher Mike McClendon, reliever Ian Durham, and shortstop Wilson Valdez on 2015 player contracts. The signings were first announced by Revs manager and 2014 Atlantic League Manager of the Year Mark Mason this afternoon exclusively on “Revs Hot Stove Weekly” on SportsRadio 1350 WOYK-AM. News broke on Wednesday, March 18 that the Philadelphia Phillies are willing to pay $50 million of the $60 million still owed to Ryan Howard over the final two years of his contract, in order to trade the first baseman. After a quick look at the numbers, this left the York Revolution of the Atlantic League roughly $9,997,000 short of the funds required to put Howard in a Revolution uniform for the 2015 season. An Atlantic League maximum salary is roughly $3,000 per month. 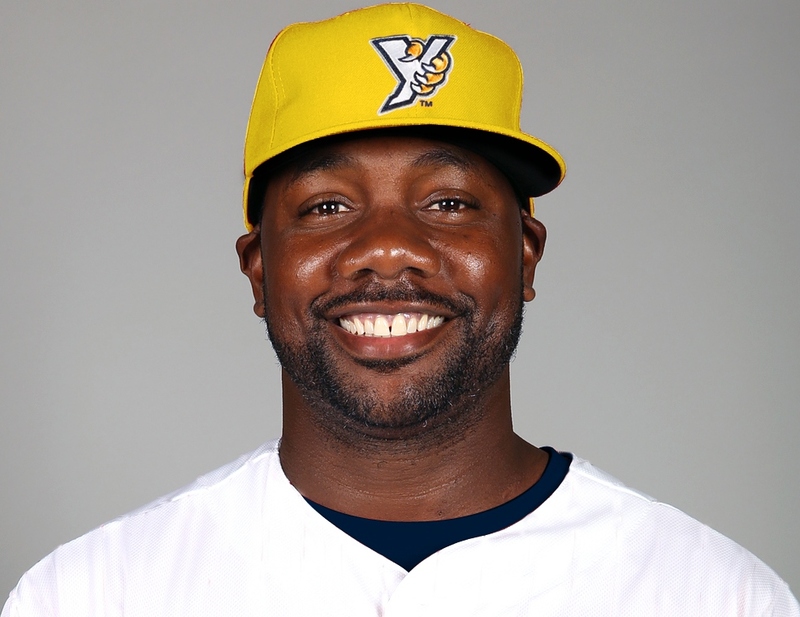 The York Revolution have announced three more player signings to the 2015 preseason roster, re-upping Atlantic League All-Star and Major League veteran Eric Patterson, while adding right-hander Kyle Heckathorn and outfielder Nic Jackson. The signings were first announced by Revs manager and 2014 Atlantic League Manager of the Year Mark Mason this afternoon exclusively on “Revs Hot Stove Weekly” on SportsRadio 1350 WOYK-AM. The Revolution have announced plans for their annual Fan Fest, which will be Saturday, April 18. The day will start with a concert by up and coming country star Dakota Bradley (who has nearly 88,000 Twitter followers) from Noon until 1 p.m. on top of the home dugout on the first base side. An on-field autograph session with the entire Revolution roster will follow for fans, until 1:30 p.m. The gates at Santander Stadium will open at 11:30 a.m. for the event. At 2, York will take on the Somerset Patriots in a full, nine-inning exhibition game. It will be the first time the public can see the 2015 York Revolution in a game situation, a preview six days prior to the opening of the Atlantic League season. 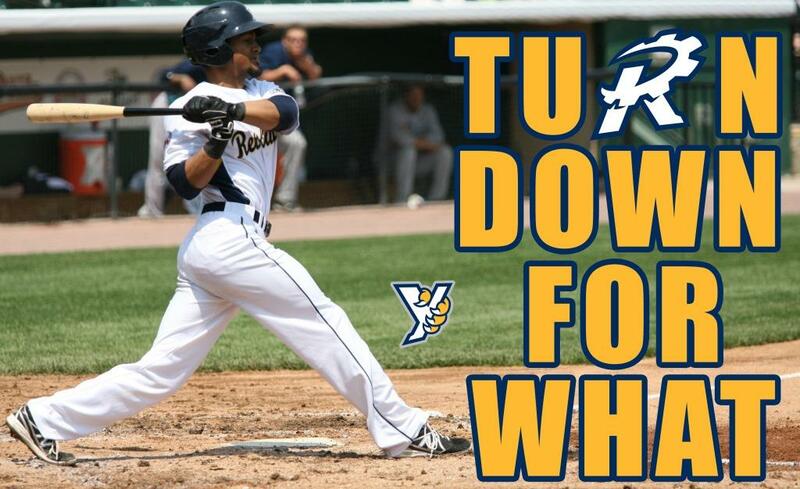 York opens at home against the Long Island Ducks on Friday, April 24 at 6:30 p.m. If you missed the show live, Darrell Henry and Revolution Manager Mark Mason recapped the three latest official signings to the 2015 roster: C Alberto Espinosa, LHP Joe Harris and LHP Shawn Teufel. The hour includes an interview with Harris live in Studio.